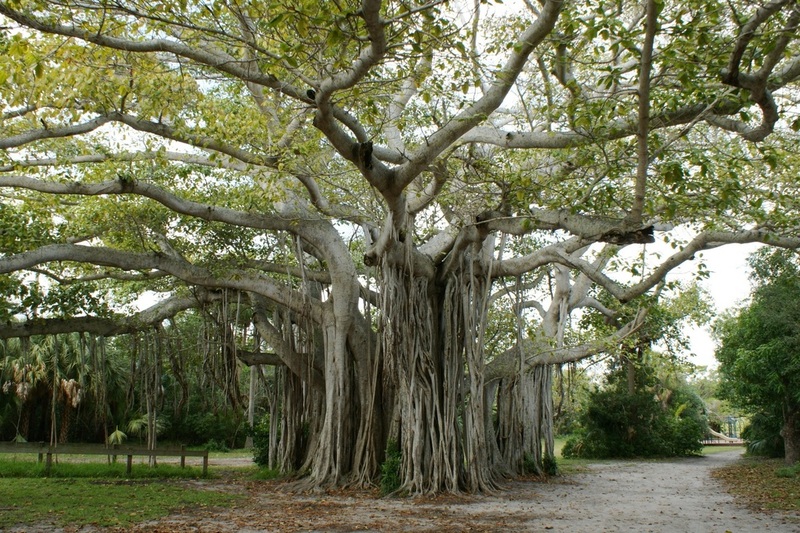 A short walk from beachside shops and many of our vacation home rentals, this park is an oasis of tropical hammocks-a gift from Hugh Taylor Birch to Florida's posterity. His former estate preserves four distinct natural communities, nestled between the Atlantic Ocean and the Intracoastal Waterway. Visitors can rent a canoe and paddle along a mile-long freshwater lagoon or fish from the seawall. Nature lovers can hike along two short trails and learn about local plants and wildlife while bicyclists and skaters glide along the paved park road. Visitors can access the beach via the pedestrian tunnel under A1A. Picnic areas overlook the channel; pavilions with water and electricity are available for rental. A group/youth campground is available to organized groups. The Terramar Visitor Center features displays regarding the area's natural and cultural history. Located on East Sunrise Boulevard in Fort Lauderdale, off A1A. George English Park in Fort Lauderdale Real Estate Gizmo. George English park is very popular for kayaking and paddleboarding. This park is also walking distance to Vacation Rental Gizmo home rental Villa Riverside and of course a multitude of restaurants and shopping like the galleria Mall! Sunrise Paddle Boards typically offer lessons and rentals.